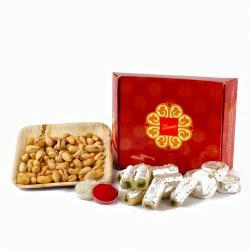 Product Consists : Assorted Dryfruit Sweet Like Kaju Pista Roll, Kaju Pista Dollar (Weight : 200 gms) along with Pack of Roli Chawal. 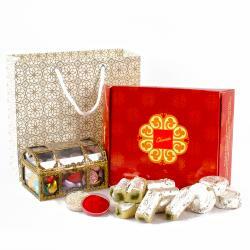 Here is a gift hamper which is surely going to delight your brother, this Bhai Dooj. 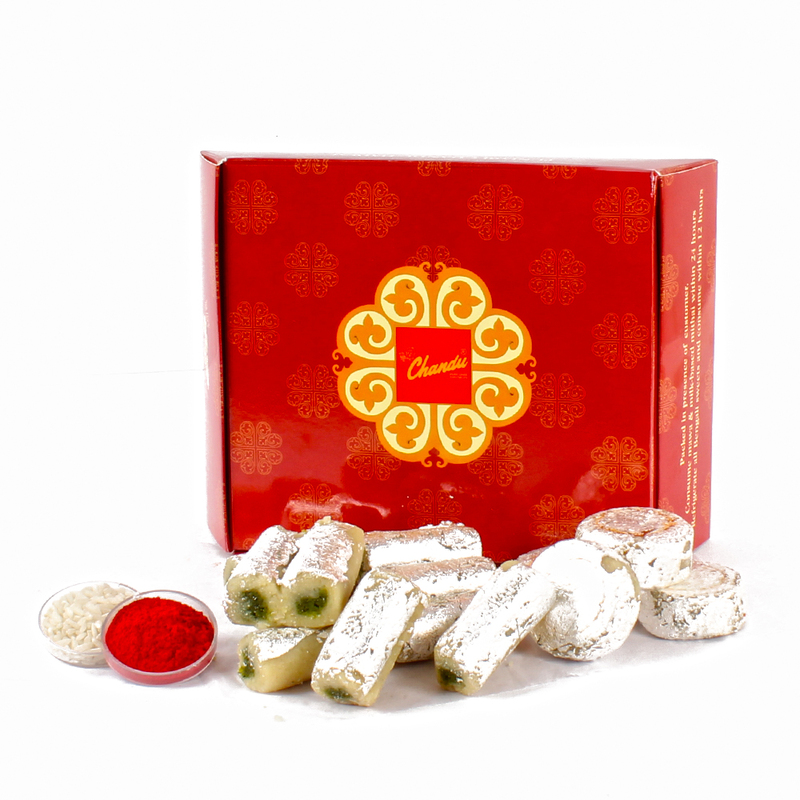 The hamper includes Assorted Dryfruit Sweet like Kaju Pista Roll, Kaju Pista Dollar which is sure to give the best ever treat to his taste buds. 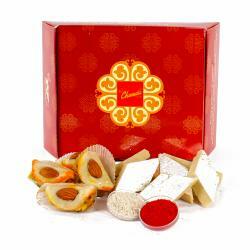 Also, it has a bhai dooj tikka to make Bhai Dooj puja event, look more ritualistic and organized. This whole package, when delivered to a beloved brother conveys the message of love and care for the best possible way. 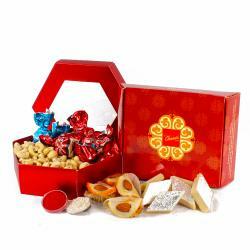 Product contains : Assorted Dryfruit Sweet Like Kaju Pista Roll, Kaju Pista Dollar (Weight : 200 gms) along with Pack of Roli Chawal.